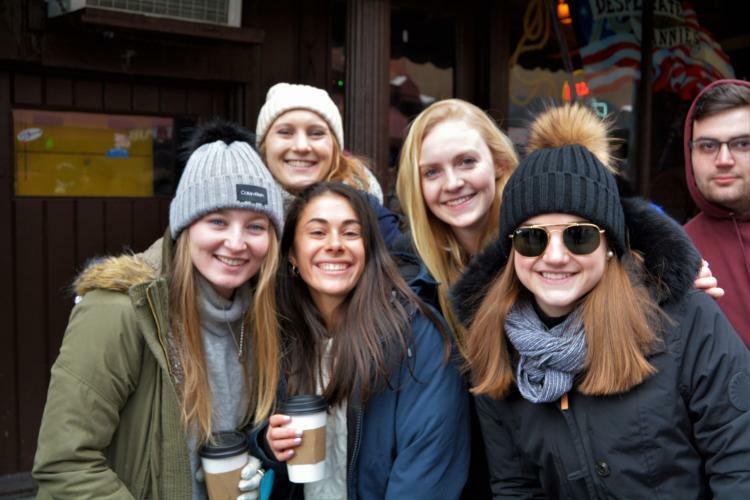 If you were one of the brave souls (and there were a LOT of you!) 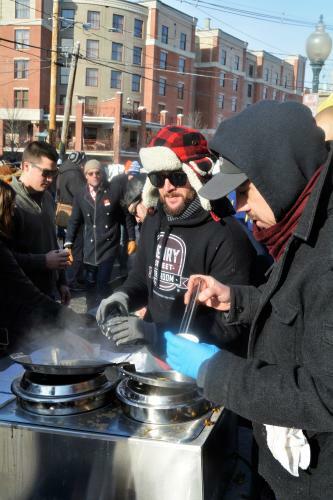 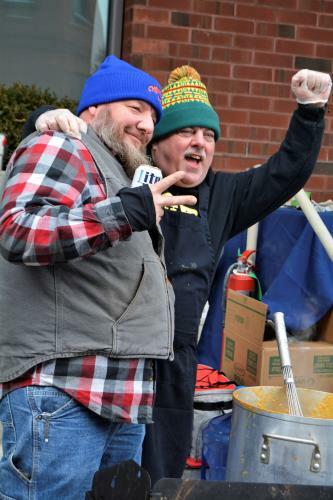 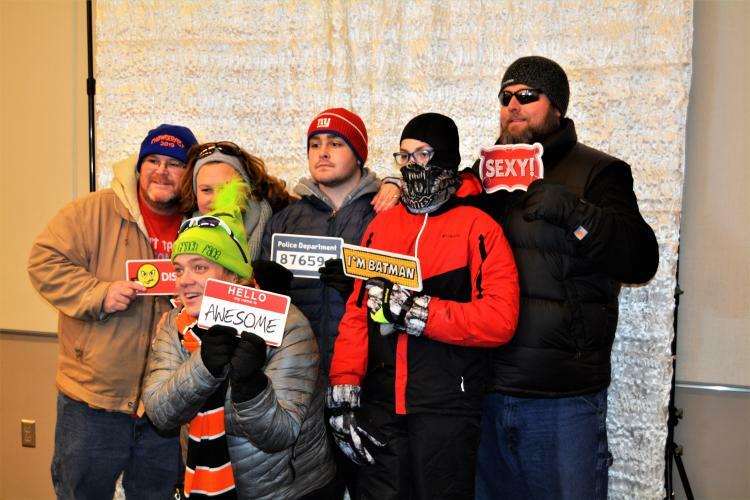 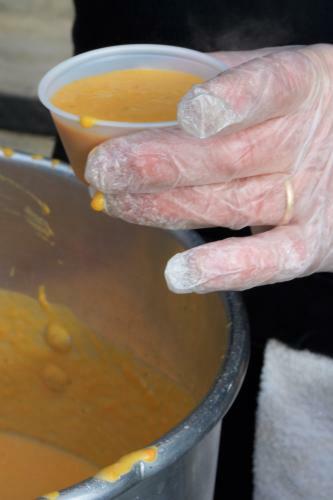 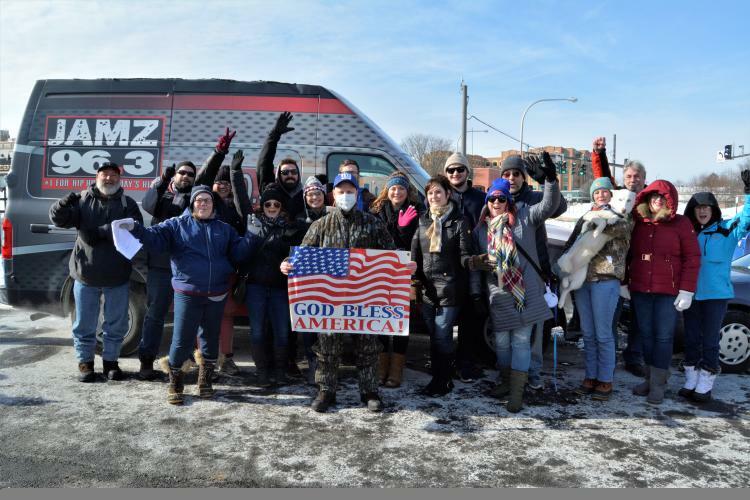 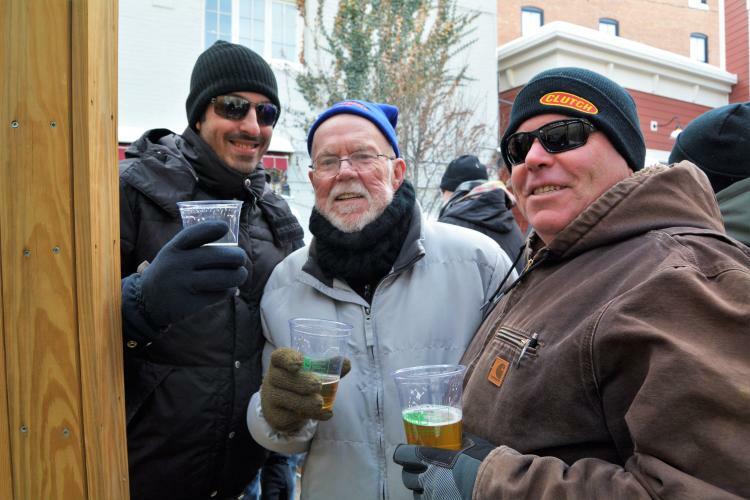 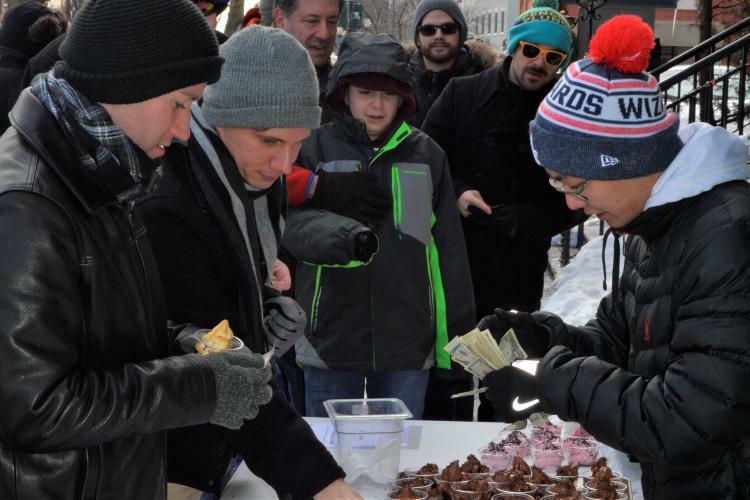 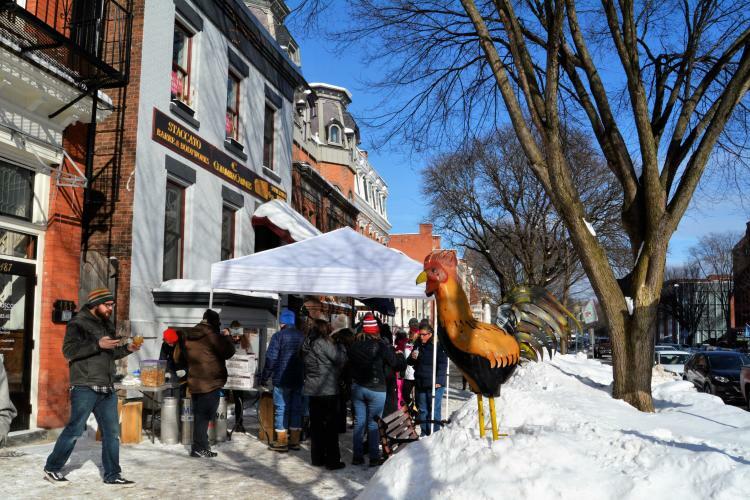 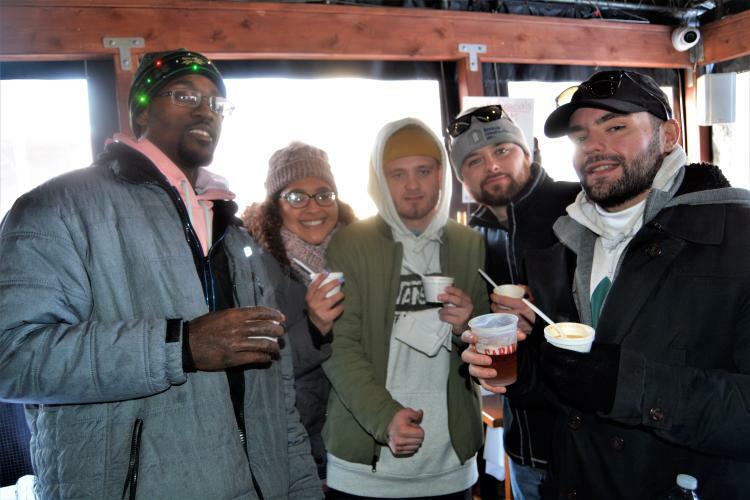 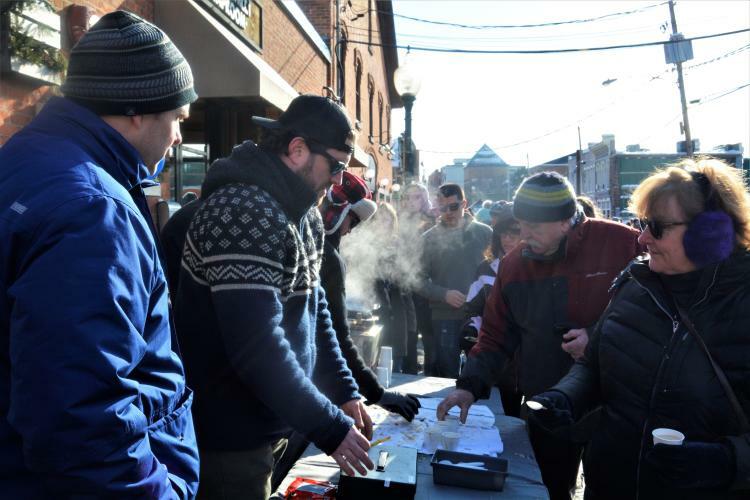 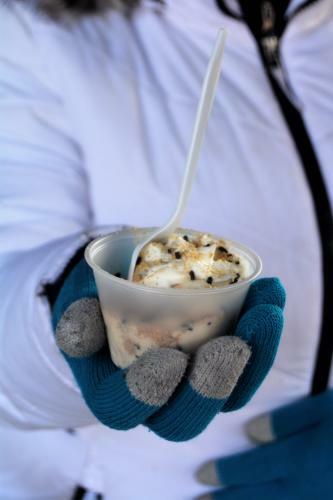 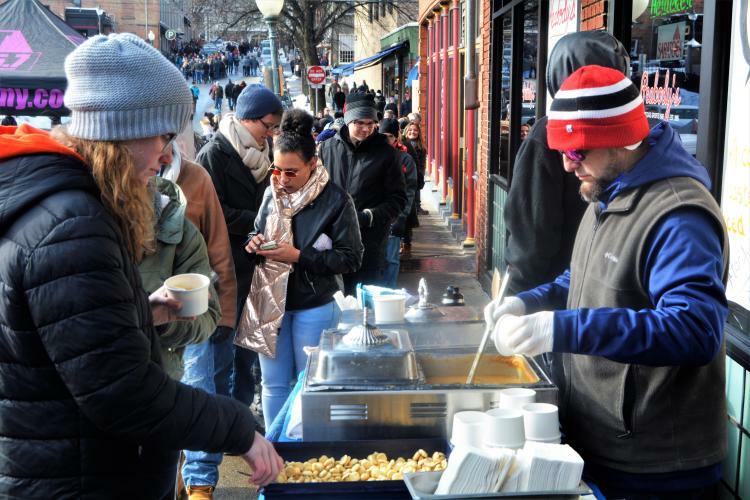 who braved the frigid temps this past Saturday, you were treated to a record-breaking number of chowders provided by Saratoga County vendors...96 of them, to be exact! 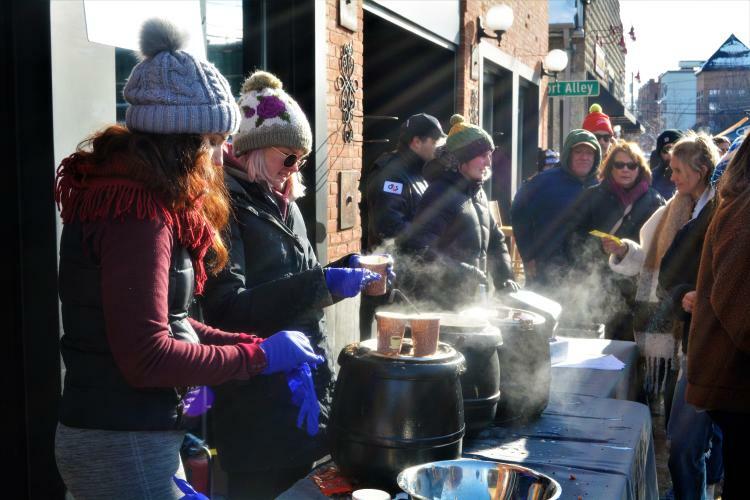 Although temperatures never rose out of the low 20&apos;s, the sun was shining and it was a great day to be out sampling the various corn, chicken, seafood, bacon, potato, vegetarian, gluten-free, and even dessert chowders created by the area&apos;s best restaurants and caterers. 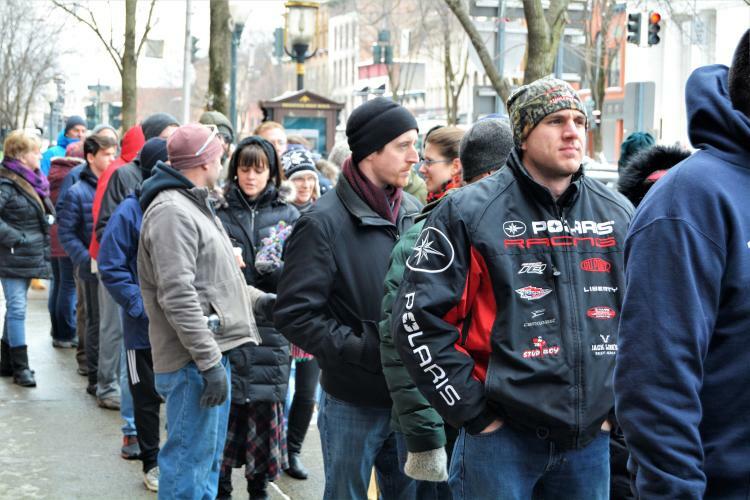 Needless to say, an event of this size and caliber is a massive undertaking. 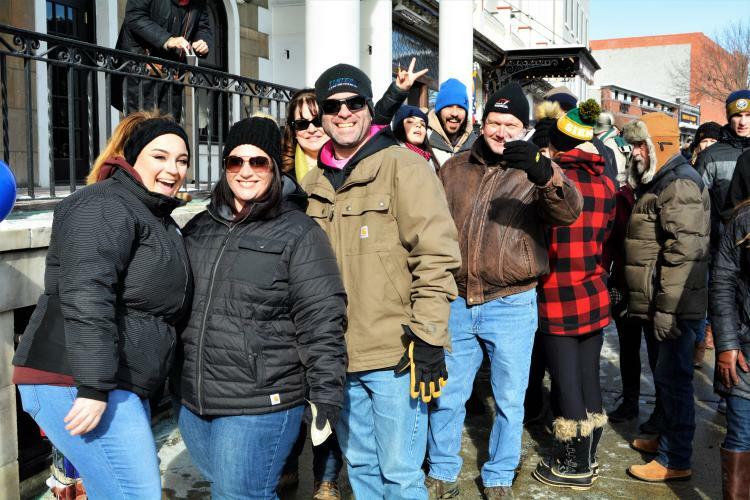 Connie Crudo, director of membership and events here at Discover Saratoga, is the driving force behind all things Chowderfest. 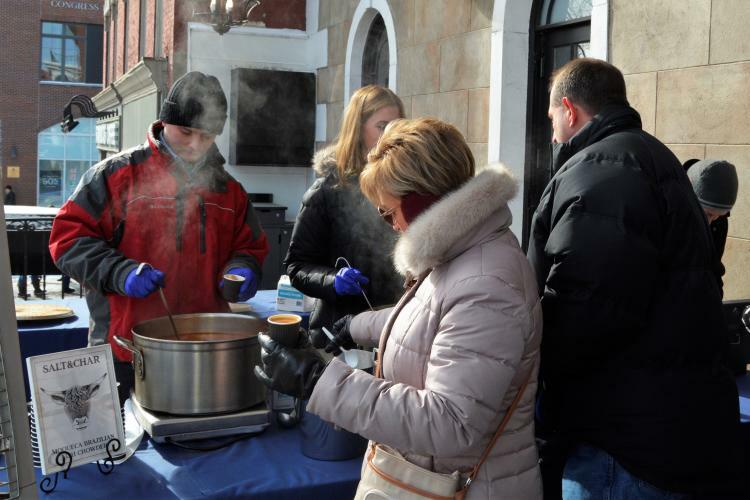 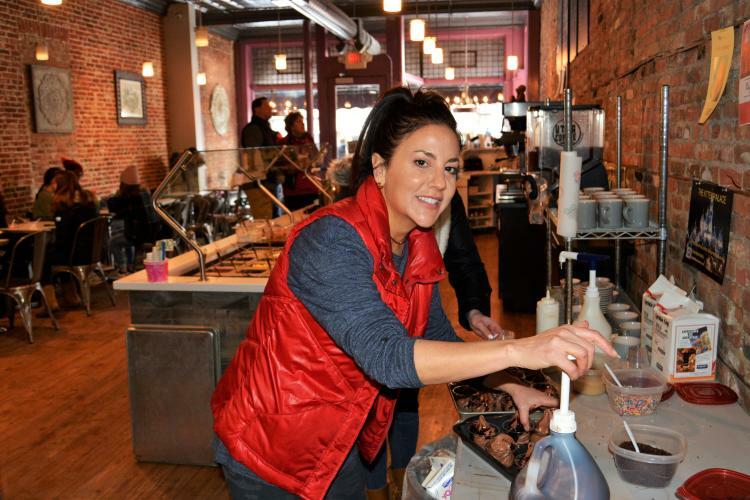 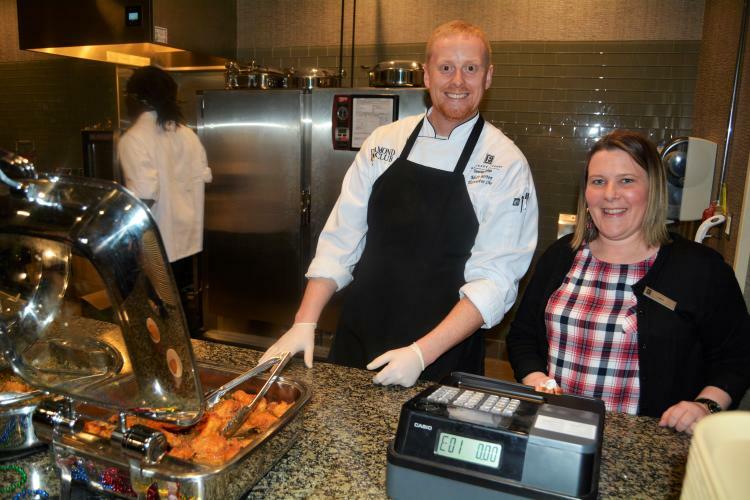 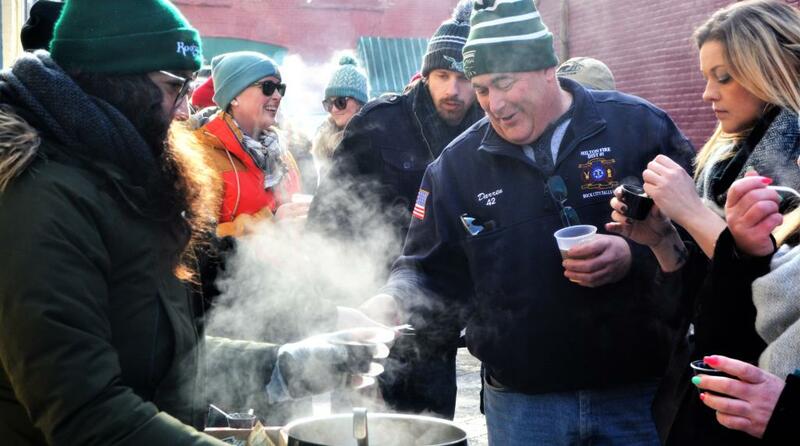 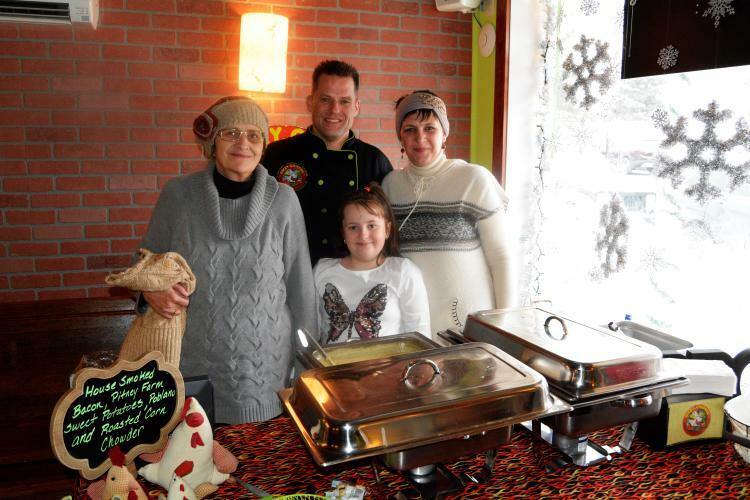 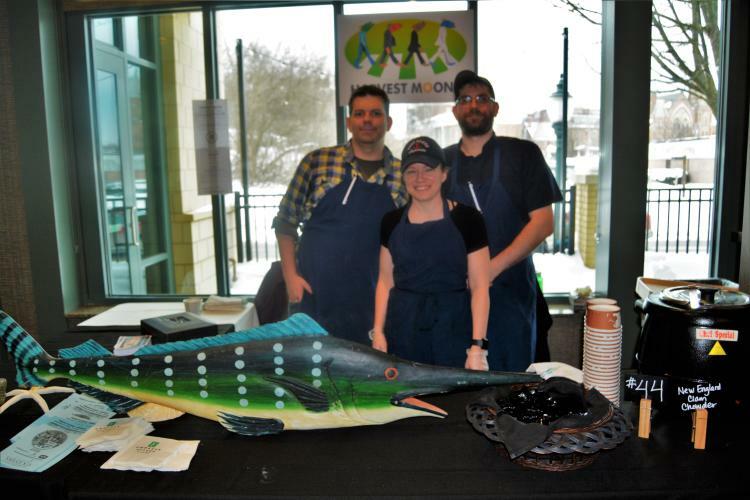 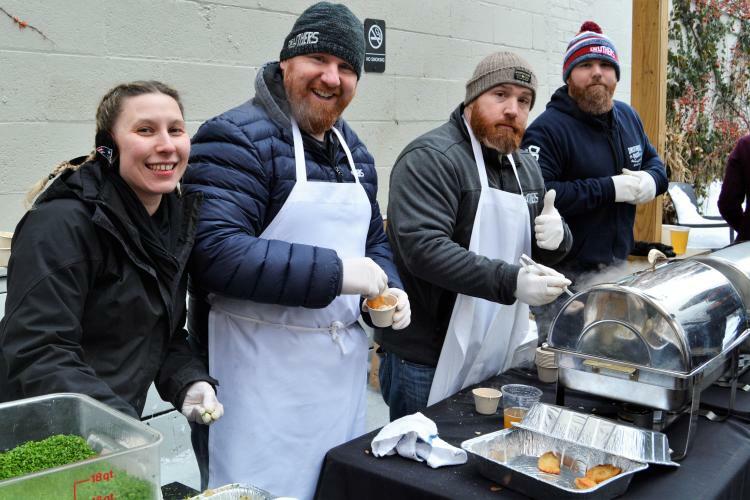 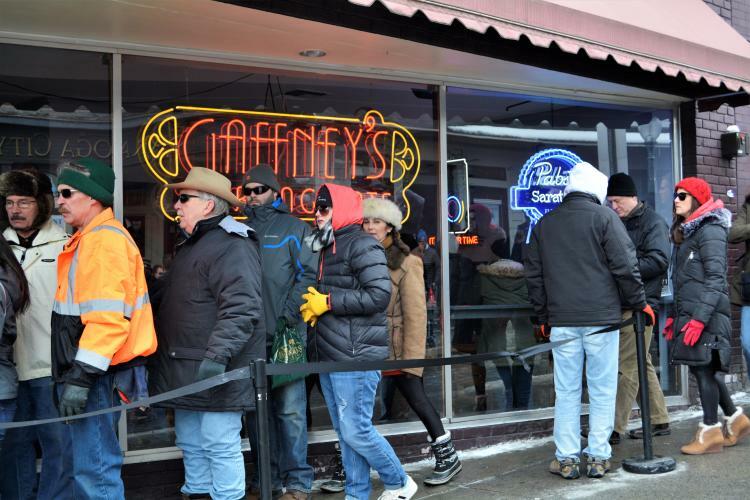 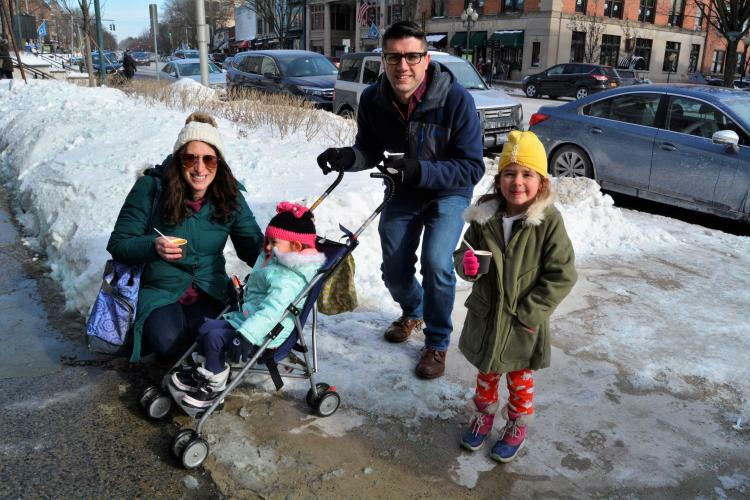 Her leadership and months of intense planning led to this successful event, which was estimated to have drawn approximately 40,000 people to downtown Saratoga and the outlying areas of the county where chowders were also being served. 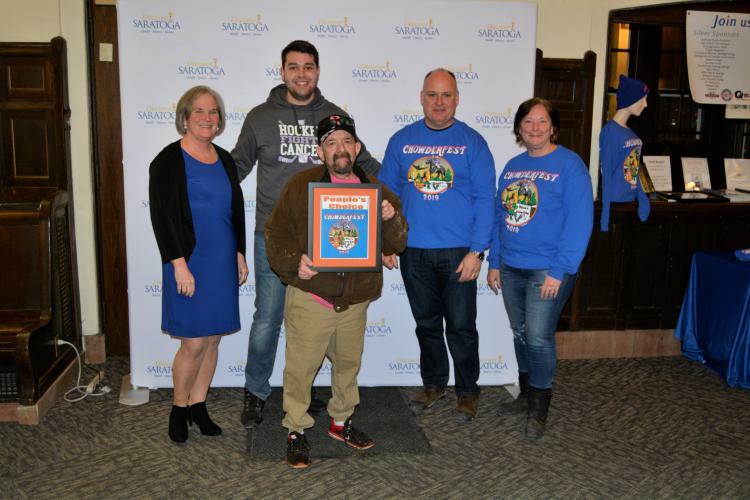 Planning for Chowderfest 2019 began last August with artwork design for this year&apos;s logo. 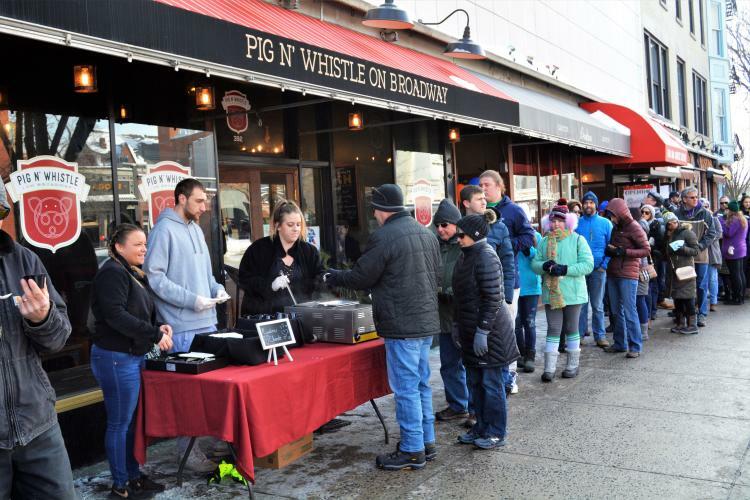 Then, immediately following Discover Saratoga&apos;s Annual Restaurant Week in early November, we began contacting our member businesses to sign up as participating vendors. 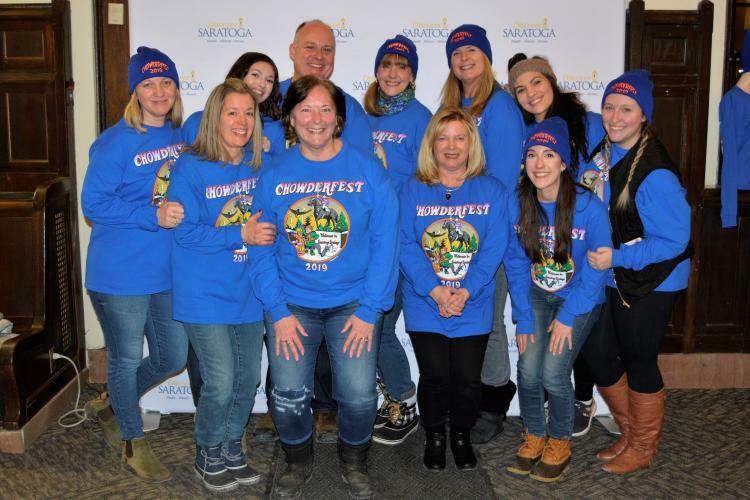 Additionally, we needed to get our marketing plan in place, coordinate sponsorships, and work out the details of commemorative shirts and hats, shuttles, the Broadway banners, ballots, and awards. 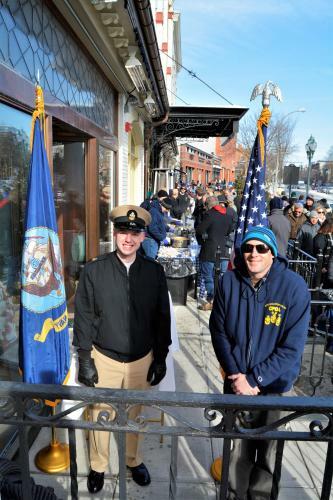 In addition to all of the above, we worked with both the City of Saratoga and the Dept. 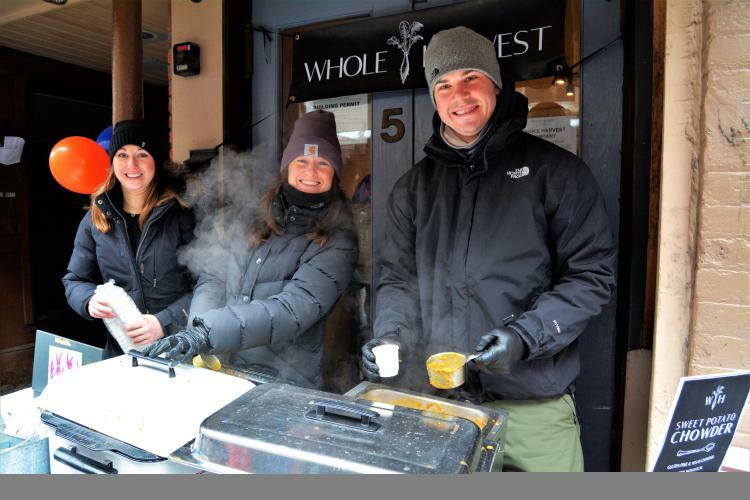 of Health to ensure safety, street closings, and vendor permits. 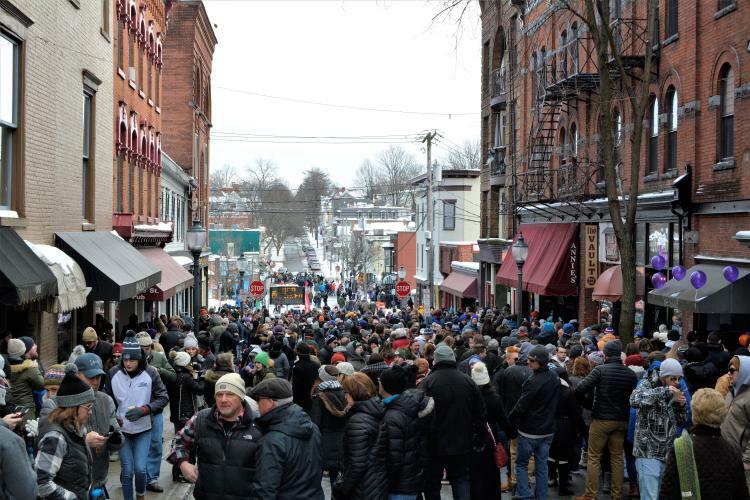 It was a frantic and extremely busy couple of months here in the office, but well worth the effort. 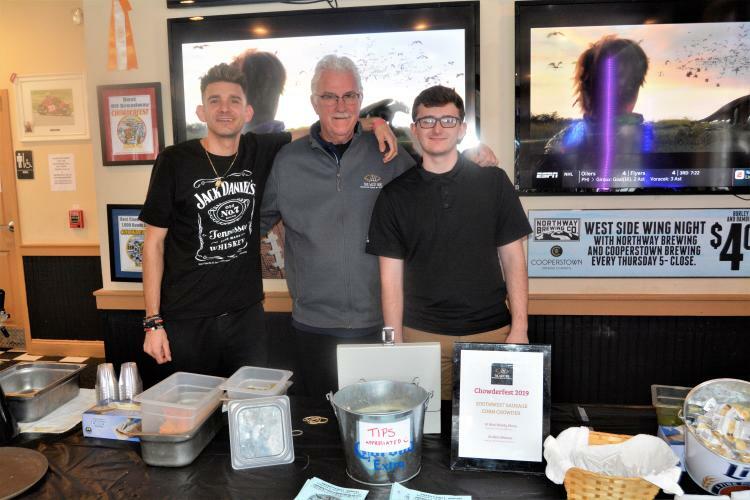 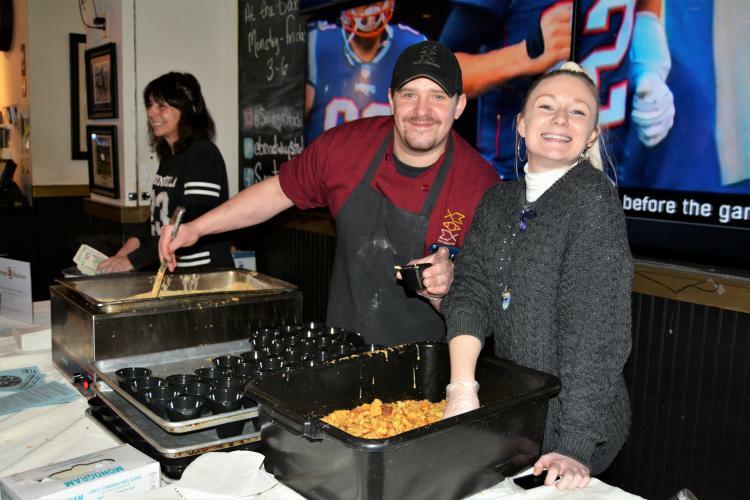 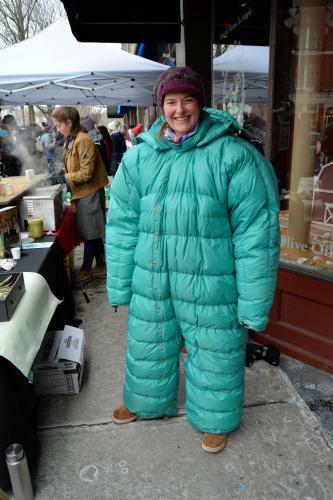 All in all, the 2019 Saratoga Chowderfest was a huge success. 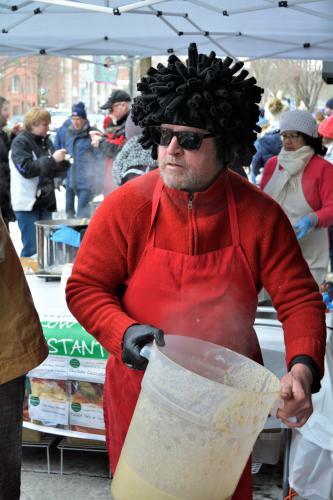 Thank you to everyone who came out and enjoyed the day, and to all of our talented chefs! 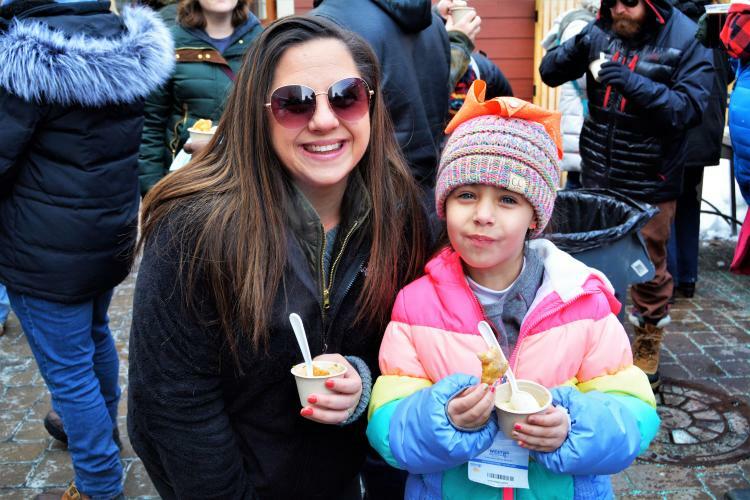 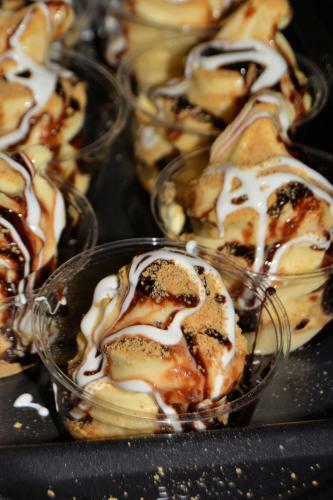 Chowderfest Highlights: 96 vendors including 14 first-time Chowderfest contestants, 138,000+ bowls of chowder served, 40,000 people in attendance! 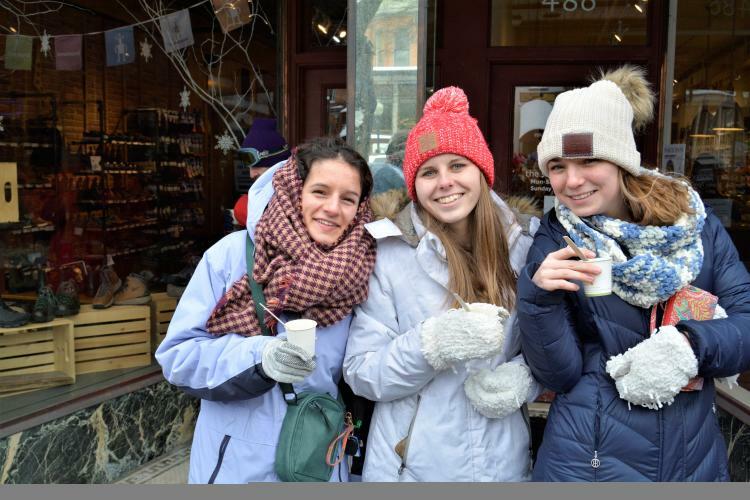 Let&apos;s stay in touch! 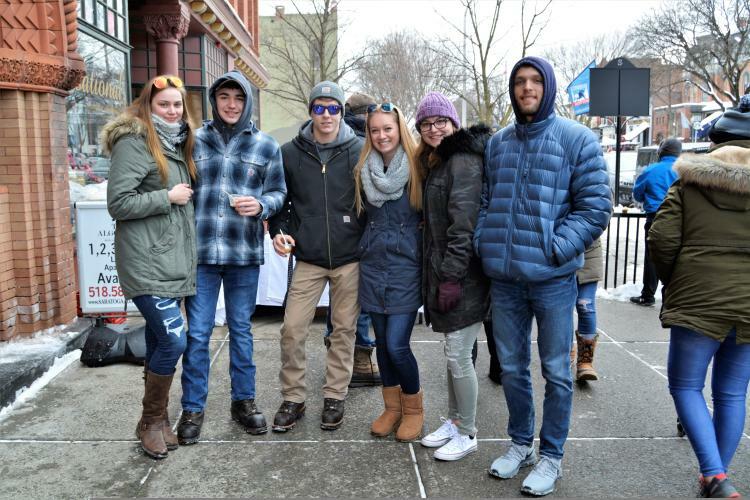 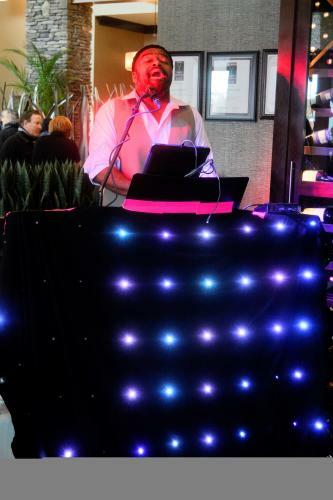 Sign up for our Discover Saratoga newsletter for all the latest events and things to in Saratoga, NY.